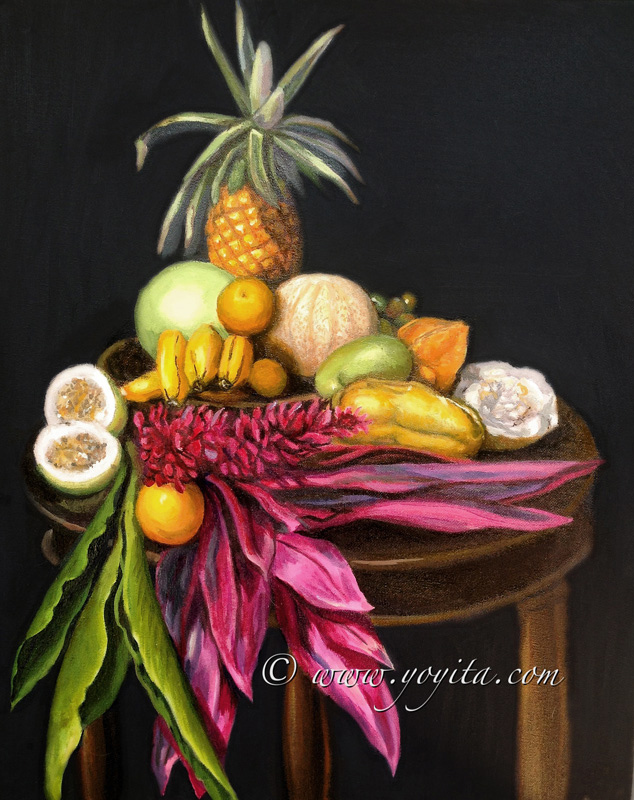 Tropical fruits and flowers Still Life, Atelier Yoyita Gallery of Art classical realism tropical fruits gingers and leaves. A collection of tropical fruits, ginger flowers and leaves. Una colección de frutas tropicales, flores y hojas de jengibre.